I had a trademark infringement or not? The MU logo has registered with WIPO- World Intellectual Property Organization. Description of Mark: The mark consists of highly stylized letters M and U which have a three dimensional appearance, and which have two raised circular accents in the center of the M and on one side of the U. The letters and circular accents are colored silver; bronze highlights are on the left side of the letters and circular accents. Color(s) Claimed: The color(s) silver and bronze is/are claimed as a feature of the mark. Now, if I understand correctly, the standard character claim being NO means that they do not "own" the word MU, so i can use the text "MU" for my game name. Correct? 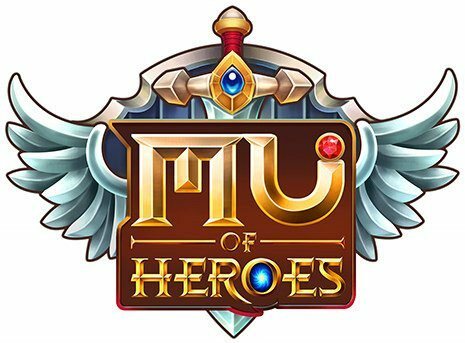 And MU of Heroes logo is trademark infringement or not? I'm very confuse now, can you advise me anything? I'm a small Start-Up, and they're a big company! Based on what you have posted above and with no additional research, I would say your logo appears to infringe. I do not see that you are in a good position (financially or legally) to fight a claim against you. I agree with Quincy, at best (for you) it is close enough for them to have a significant argument in court over it. And even winning in court is going to cost you a lot of money. You really only have two options here. Fold and change your logo or lawyer up for a fight in court. To do the latter you will need a large pile of cash. The above quoted question was not previously answered. I will answer it now. The letters "M" and "U" can be used by anyone. It is how these letters are used that can create problems. Whether someone can use the combination "MU" as a trademark depends on the class of goods/services that are being marketed. There are other "MU" trademarks, or trademarks that have "MU" as a part of the name, registered with the USPTO but the registered MU trademarks each identify different goods/services. There is no conflict and these marks peacefully coexist. However, no one can use the same or substantially similar stylized "MU" logo that another company has used to identify their company if the use works to confuse consumers as to the origin of the goods/services. Your logo with its stylized "M" and "U" is substantially similar to the protected mark even if your trademark is not identifying goods in the same class as the registered mark. You can consult with an IP attorney in your area for a personal analysis but I do not see that you have much to support your current use. It appears to me to clearly infringe. I think a court would think so, too. I recommend you create a new logo for your game after making sure your MU name does not on its own infringe on another's use of the trademark. Then if you are small and cannot afford the litigation you ought to consider changing your logo so that it does not at all resemble the trademark of the big firm. I agree with quincy that your stylized version of the letters MU are remarkably similar to the stylized version of MU in the big company's logo. So close, in fact, that I think it's a pretty good bet you had seen their logo and used that as the basis for the MU you used in yours. There may also be a copyright claim for the big company there, too, given how close they are. So I'm not seeing a strong defense here for you, and the cost to litigate this alone can easily run you tens of thousands, if not hundreds of thousands, of dollars. It would not be an inexpensive legal action, that's for sure. With all of the above said, however, I have to say that tdung created a very attractive logo. He now needs to rework the elements so the logo is not confusingly similar to anyone else's. He should thoroughly explore the marketplace prior to investing any additional time, energy or money into marketing his game. I have understood my situation from your advises. I know what i should do now. PayrollHRGuy, Taxing Matters, and I all appreciate the thanks, tdung, so thank you. Good luck with your game's success. Hi @quincy @Taxing Matters @PayrollHRGuy & Everyone! 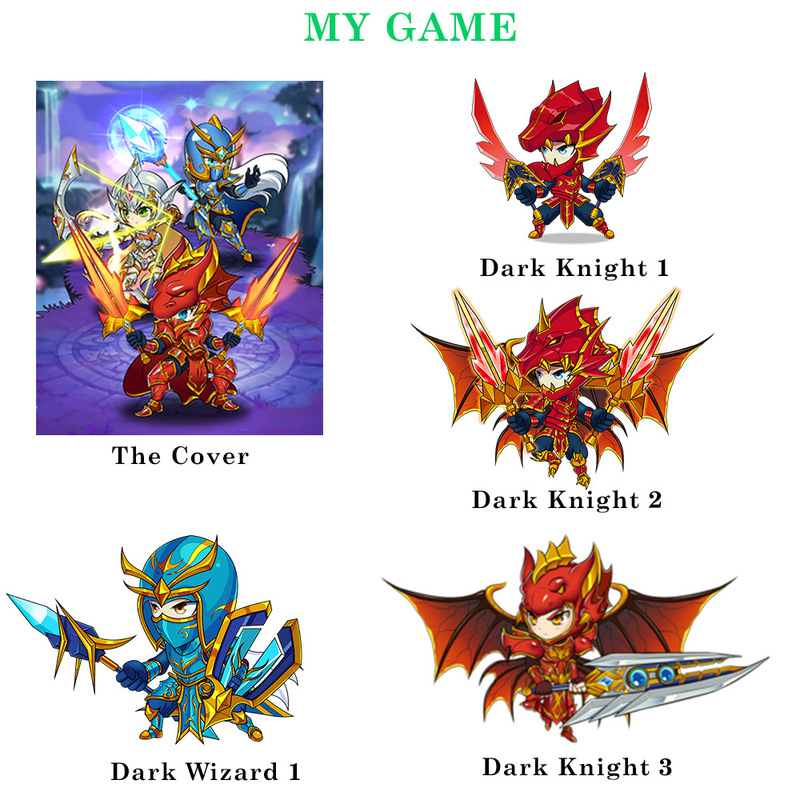 Thus, we developed a game, which have a chibi cartoon art style, a turn-based gameplay, it's totally different gameplay to original MU online on PC and mobile platform. What should i do now if we want to keep the game story still base on "MU online" story, can you advise me anything?. What can we use, what we shouldn't use, Where can we check for exclusive content (images, sounds, musics) by webzen? Because we can't find it in WIPO database. You will either need to seek licensing to use the rights-protected material or you will need to start developing your own ideas instead of relying on intellectual property belonging to others. The major problem you have is that the trademark holder sees your images and logo as infringing on their rights. This means you either stand your ground and wait to be sued (likely) or accept their assessment of your works and stop what you are doing (which seems to me to be the legally and financially smartest action to take). Perhaps you should sit down with an IP attorney in your area for a personal review of what you can and cannot do legally before you bankrupt yourself with a costly infringement suit. I hate to break it to you, but I would suggest your intents are going NOWHERE other than to much legal action for copyright and trademark infringement. 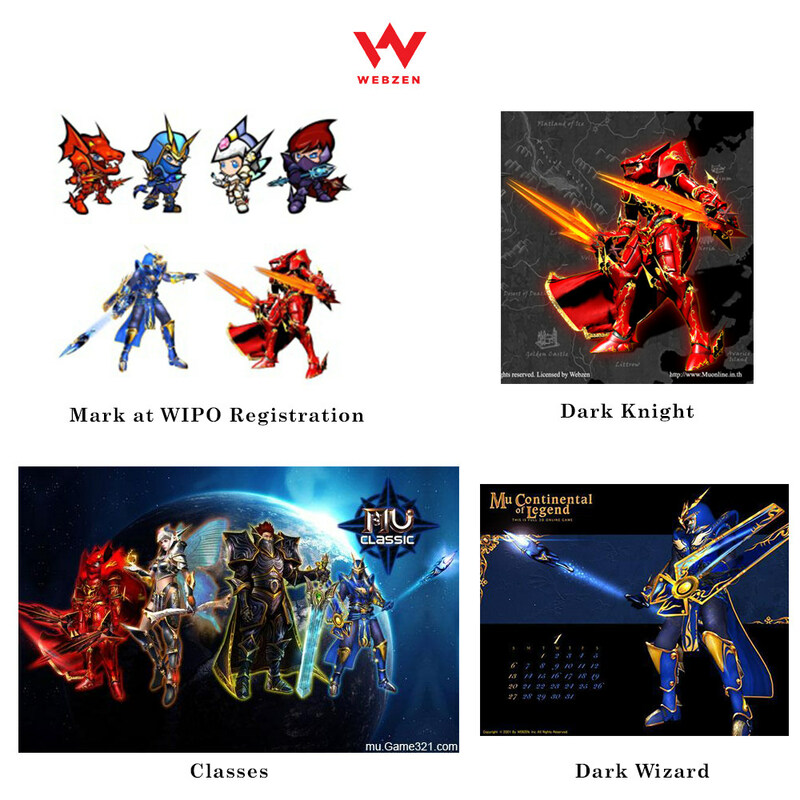 While your "gameplay" might be unique to you, you're intentionally exploiting Webzen's intellectual property for everything from the characters to the logos. This is certainly NOT going to fly. The reason you didn't get a response from Webzen is that they don't want to license to you, nor do they have any incentive to even consider it. You're going to have to develop your own creative material rather than stealing it from others. It can be very easy to copy the successful works of others. And it can be easy to (temporarily) profit from this copying, which is probably why some will attempt to make money this way. Most who copy the successful works of others generally will discover soon enough, though, that trying to capitalize off the trademarks and copyrights of others can wipe out any profits realized and any personal bank accounts and assets they hold. Infringers should plan on spending in a trademark infringement lawsuit, at a minimum, around $120,000 - but these lawsuits often exceed that amount by multi-thousands of dollars. It is very difficult to create and develop original and creative ideas but that is what is necessary to avoid the very real risk of an infringement lawsuit. I see my problems, that's really bad when i'm trying input their characters to my game. Follow your advises, i have remove their characters from my game. It's just a little part in my game but it made a big problem because my stupid and greedy. And I still had 21 other characters to show unique highlights of game. Thanks for the thanks, tdung. I am happy we were able to provide you with some information and advice. I hope you have success with your redesigned game.